Walking into one of the many cafés or study areas around Education City, it’s easy to spot a group of students discussing a recent assignment in Urdu at one table while a group of girls in brightly colored hijabs crowd around a tray of knafeh at another. In a place as multicultural as Education City, the existence of “subcultures” or social groups based on cultural identity is widespread, proving that the way individuals define themselves has a lot to do with who they eat lunch with. Silvia Pessoa, associate teaching professor of English at Carnegie Mellon University in Qatar, said, “We as human beings like to be part of communities.” Pessoa expanded on this by saying that communities form when people of similar ethnicities, backgrounds, or even interests, come together. “People always have the tendency to associate themselves with people who are alike to them. Culture and race draw people to one another,” said Kamila Idris, a freshman at Georgetown University in Qatar. This sentiment is echoed by many students across EC because of the comfort that being surrounded by others of a similar background brings. Arambha Niraula, a Nepalese student at CMU-Q, enjoys being around others of the same cultural background but said this might be because of very few Nepalese students in EC. “Since there’s a small number of [Nepalese freshmen], we’re pretty close,” he said. 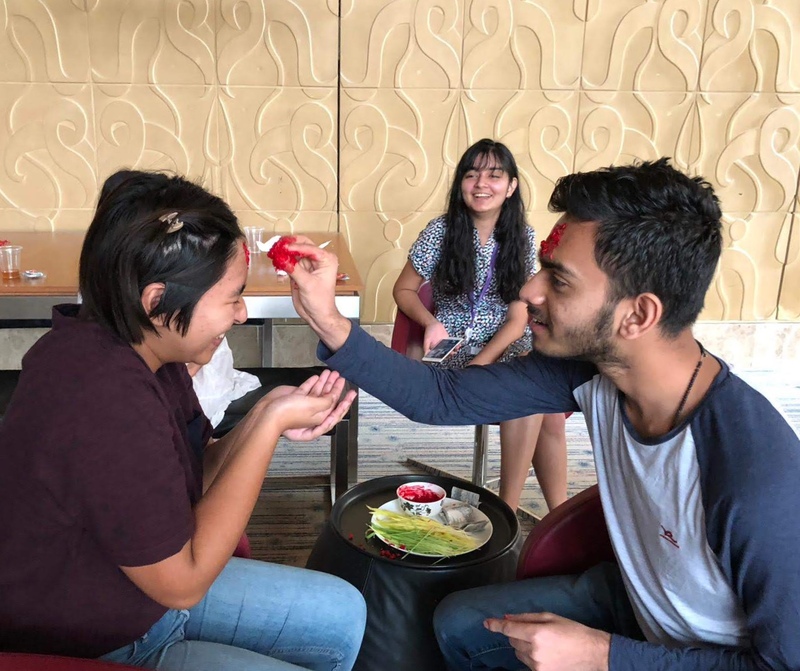 Niraula appreciates this tight-knit group because it allows him to stay connected with his culture in a way he does not get from non-Nepalese friends. 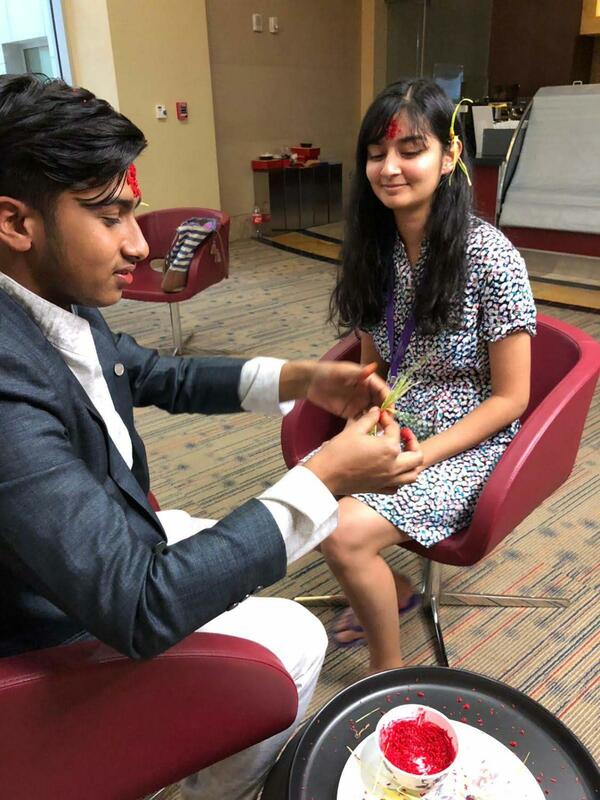 Recently, he celebrated Dashain, a Nepalese festival that celebrates the triumph of good over evil, along with Nepalese students from NU-Q and GU-Q. This is something he would not have been able to do if not for the formation of the Nepalese student subculture in EC. Arambha Niraula applies tika paint for Arya Manali in celebration of Daishan, a Nepali festival. Photo by Tanieshaa Shrestha. However, the degree to which one is attracted to people of a similar background depends on the definition of “culture.” For many, culture is not as simple as the place one’s parents originated from. Qatar is unique in that it is home to people from many cultural backgrounds. Pessoa said that even if Qatar is the only home one has ever known, there will always be a difference between Qataris and people from a different culture. “In Qatar the situation is very interesting because even if you are born here you are not a citizen in this country,” she said. The New World Encyclopedia states that as of July 2017, 40 percent of Qatar’s population is Arab, while there are 650,000 Indians and 125,000 Pakistanis, among many other nationalities. Although diverse, a large portion of today’s generation of students in Qatar have grown up here and this complicates the way these youths define themselves. Farah Gomaa, a student at Northwestern University, is one such example of a second-culture youth who struggles with her identity. “I’m an Egyptian who never met the pyramids,” she said. Gomaa says she loves her Egyptian heritage, but her lack of experience living in her home country has broadened her perspective and allowed her to feel more of a connection with the Arab community as whole. “Most of my friends are Palestinian or Syrian. I feel like Arabs have this thing, they click with each other at some point. It’s not just language, it’s our way of thinking,” she said. Still, some people believe that the differences in cultures are what bring people together. Razan Abuzaid, a Sudanese student at Qatar University, said that her unique accent when speaking in Arabic has been a light-hearted conversation starter among people outside her cultural background. “Many people think I’m mad when I talk to them but I’m not, I’m just Sudanese,” she said. Abuzaid said that whenever she visits the EC community she is struck by its diversity and the opportunity to learn about other cultures. “It’s just nice to know that you’re in a community where people are not going to judge you for who you are. We all come from different cultures… and we get along and understand each other,” she said. However, everyone has a different way of defining their individual cultural identity which means that social organization by culture is not always apparent. Amal Berrada, a GU-Q student, shed some light on this when she said, “I identify as Moroccan, African, and Arab. Most of my friends are of an African background, so I can relate to them on that level, and there’s a large Arab community too, so there are things in common on both sides.” Berrada explained that the multi-faceted nature of her identity is beneficial because it allows her to connect with a larger group of people. 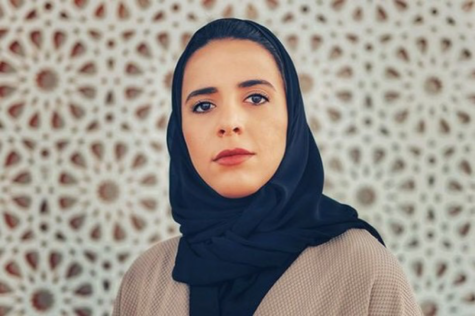 According to Awad Abdelrahman, a junior at Northwestern University in Qatar, the connection between people should come without regard for social boundaries. Similar to Gomaa, Abdelrahman has lived in Qatar his whole life without having been immersed in his Sudanese cultural background; he opts for the removal of social grouping by subcultures, an opinion that is a result of his experience attending an Indian curriculum school in Qatar. He said, “it definitely made me more open minded because I experienced a lot of cultures in one place.” However, Abdelrahman added that this was not always positive. In school, he lacked genuine friendships because people did not understand the way he fit into their already established subcultures. “Friendship should never be based on the labels that society puts on people, whether you’re black, white, these shouldn’t be the terms that define a friendship between two people. I feel it’s more based on who that person is,” he said. According to him, his most meaningful relationships have been formed without thinking about other people’s cultural background.